2 in 3 people in the U.S. would use a mobile app to manage their health, especially for diet and nutrition, medication reminders, tracking symptoms, and recording physical activity. The fifth annual Pulse of Online Health survey from Makovsky finds that digital health is blurring into peoples’ everyday lives. We’ve covered previous Makovsky digital health surveys here on Health Populi; last year, we focused on consumers managing risk in digital health platforms, and in 2013, the state of seeking health information online. That most consumers would go beyond health information search to the more engaging pursuit of managing health over this two-year period demonstrates the fast pace-of-change and awareness of the digital health opportunities that consumers now perceive. Peoples’ motivation for adopting personal digital health tech varies by condition and demographics, Makovsky found: most people with GI conditions would use mobile apps to track diet; one-half of people with pulmonary issues would use an app for medication reminders; and, 52% of people with cardiovascular conditions would use an app to track sleep. Sharing personal health information is now a mainstream value: 88% of U.S. health consumers would be willing to share their data to improve care and treatment options. When people turn to online sources to seek health information, they are looking for information on conditions and symptoms (58% and 57%, respectively) and prescription drugs (55%). To be sure, trust continues to underpin health engagement, and the most-trusted online source for health information continues to be WebMD — cited by 57% of consumers – compared with government sources like the CDC (17%) or the FDA (16%). Trust in social media varies in people diagnosed versus those not: people with a chronic medical condition tend to trust social medial channels more than the general population, Makovsky learned (at 2x the rate). The survey was fielded in January 2015 among 1,015 U.S. adults 18 and older. 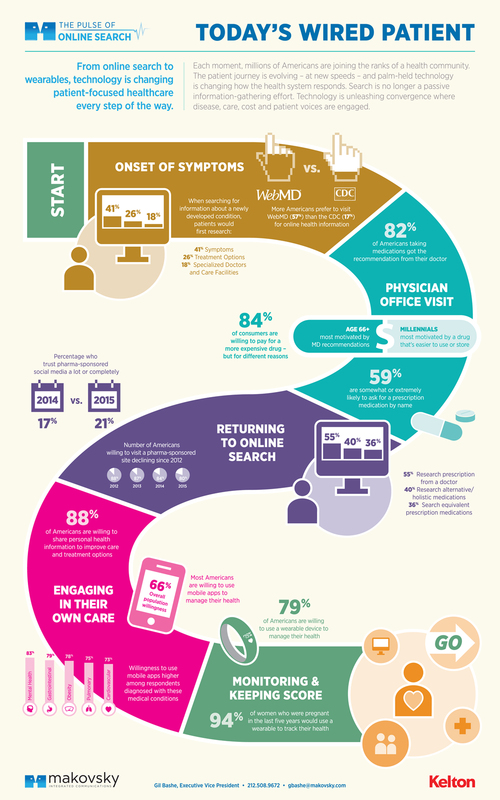 Health Populi’s Hot Points: The second graphic focuses in on the self-care portion of Makovsky’s wired patient journey. 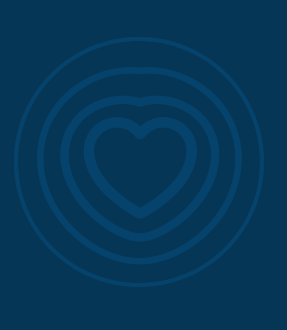 Note that most people diagnosed with various conditions are keen to use mobile apps for managing their health, from mental health through heart disease. This finding underscores the opportunity to bring patients — the most under-utilized resource in the health system — into healthcareDIY mode to co-created health outcomes for themselves, drive health in their communities, and bend both personal and macro health economic cost curves. The fact that people already managing conditions seek peer-to-peer healthcare in social networks demonstrates the importance of trust and self-management among people who are unwell. The alliance announced between PatientsLikeMe and Walgreens illustrates this opportunity, for highly engaged patients working together to join with a retail health provider (in this case, a pharmacy) to further scale sharing, learnings about treatments and daily living, and peer-to-peer support. Interesting data, and no surprise. Guilty as charged. Interesting to see how many more people go to WebMD than the CDC site. Sounds like the CDC needs better marketing. To be fair, I don't know that I would have considered the CDC myself, and wellness is my business. In any case, people are going to continue to seek information in this way. The opportunity lies with making sure people have the best possible tools available for research. Bad information is just as accessible on the internet.